War's never been so cheap. War used to be so expensive. Back in the day, you had your horses and your swords, each of which were worth upwards of twenty gold coins. Then, you had your thousand-dollar artillery shells and landmines. Finally, countries decided they just couldn't get by without dropping a couple million bones on stealth bombers. It's hard to believe how cheap things are these now in comparison. For instance, if you were to log onto the Humble Bundle website sometime in the next twelve days, you could basically buy the entirety of World War 2 for ten bucks. If you're interested in supporting a few charities, the latest Bundle is celebrating the 10th anniversary of the Company of Heroes franchise by offering both main entries (Company of Heroes and Company of Heroes 2) plus a slew of extra content for a meager ten dollars. Honestly, why wouldn't you be? Charities are pretty cool, and you'd be hard-pressed to find a pair of better RTS games from the last few years. Oh, I get it. You're skeptical of throwing down ten of your hard-earned dollars for a couple of video games you can only enjoy alone. Well, worry not, friend! 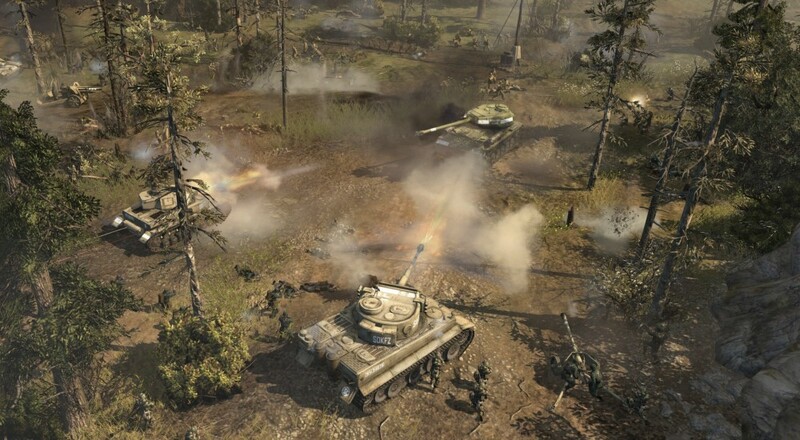 Both Company of Heroes: Tales of Valor and Company of Heroes 2 offer online co-op, so you won't have to suffer through the horrors of WW2 alone. Tales of Valor, sadly, has only one co-op mission: Operation Stonewall. In it, you and three friends must work together to defend a small town from overwhelming foes. You can find a brief review here. CoH 2, on the other hand, contains co-op options aplenty. In case you're interested in the specifics, we have a review for that as well. Best of luck on the frontlines! Page created in 0.4603 seconds.